While it should come as no surprise that the number of women in senior and middle management positions has increased significantly over the past 20 years, a new study claims that female leaders are thriving in unlikely regions across the globe. 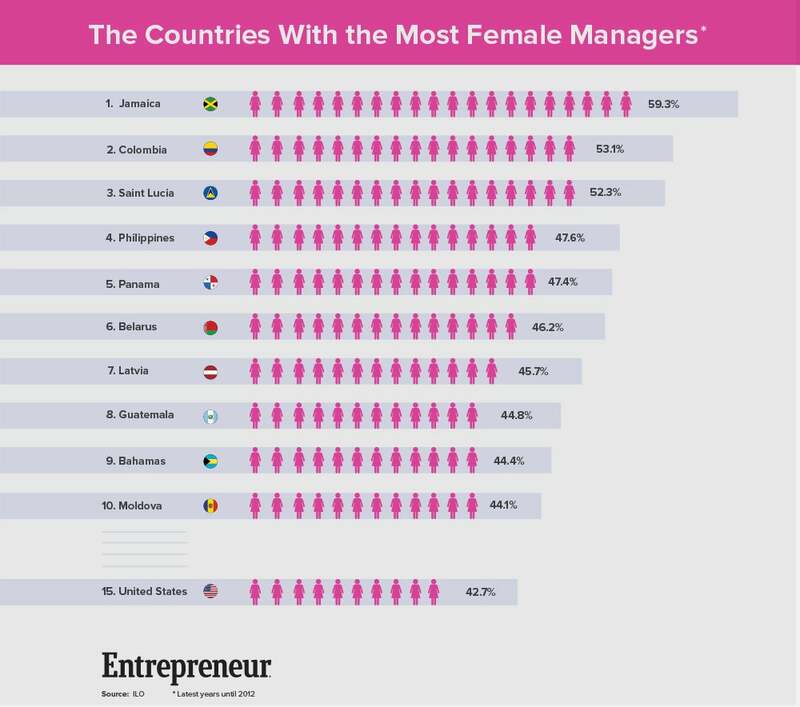 Of any country on earth, Jamaica boasts the highest proportion of women managers -- 59.3 percent -- according to a study by the International Labor Organization (ILO), a United Nations agency that works to uphold labor rights. The United States is fifteenth on this list (42.7 percent), while, at the other end of the spectrum, Pakistan counts the smallest proportion of female leaders, a meager 3 percent. The study also notes that Norway counts the highest global proportion of companies featuring women as the chair of the board (13.3 percent), followed closely by Turkey (11.1 percent). For additional findings, check out the study in full right here.